Bring water and orange juice to a boil. Add couscous, stir and simmer for 8 minutes, or until liquid is absorbed. 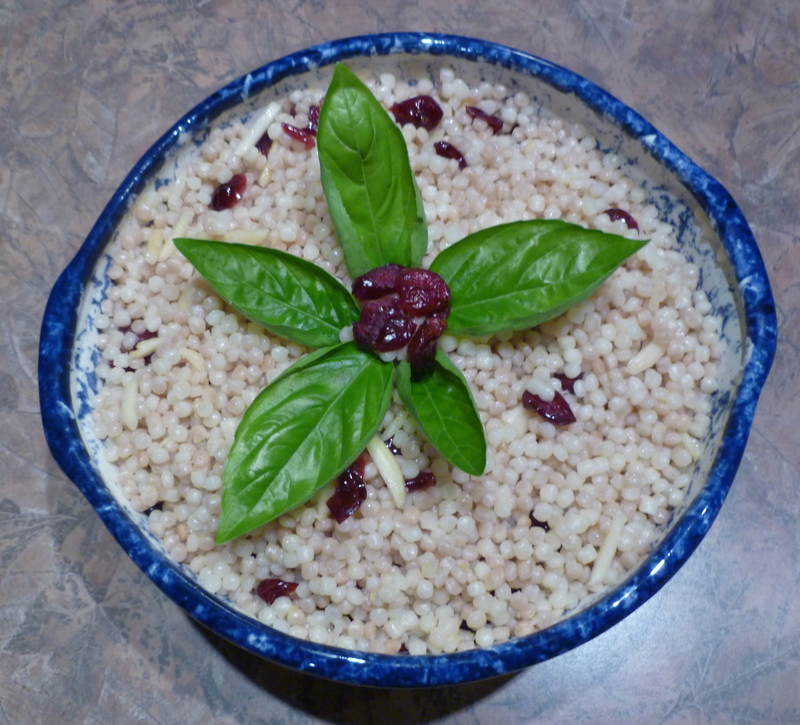 Remove couscous to a bowl and allow to cool to room temperature. Add oil, almonds and craisins. Stir well and garnish. 2 large beefsteak or other juicy tomatoes, chopped. Boil 3 1/4 cups of water. Add couscous and lower heat. Cover pot and simmer about 8 minutes. Taste to see if done and continue cooking if too hard. Remove from heat and put in bowl to cool. Add balance of ingredients, stir and chill. Enjoy!